The European Commission had received from seven Italian associations about the practices of the French police against minor migrants, reported the British Newspaper The Guardian. Indeed, these NGOs have accused the French police for falsifying the dates of birth of minor migrants, making them pass for adults, in order to be able to return them to the border with Italy. Cited by Le Point which quotes The Guardian, the said associations have alerted the European Commission and the Italian Ministry of the Interior on two cases, where the dates of birth actually seem to have been changed on the document "refusal of entry" on the French territory. 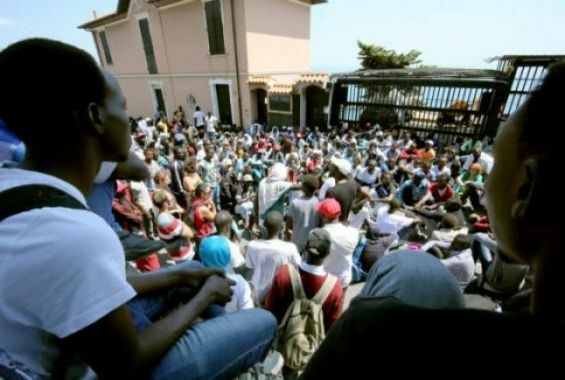 One of the two cases was spotted last March, when associative activists were inquiring about the situation of migrants in the border town of Ventimiglia, says The Guardian. "We were only there by chance but saw two minors, who we knew well, being stopped by French police", said to The Guardian the legal assistant of the charity Interssos, Daniela Ziterosa. "We saw the police write the incorrect date of birth on the ‘refusal of entry’ document. One of the children took a photo of the document and you can see that his date of birth has been changed from the one he declared. We managed to block them from being sent back and the French took them in"
The Guardian also recalls that these accusations would intensify the tensions between Italy and France concerning the management of migratory flows. Less than two weeks ago, French agents showed up at an Italian train station, where a Nigerian migrant suspected of carrying drugs had to undergo a urine test under duress.